Photography || Rustic White Photography. Place mint leaves in a cocktail of shaker and muddle. Add regular ice (not the fancy fruit ice), Vodka, and Club Soda. Shake, shake, shake. Pour over fancy fruit ice and enjoy. Mix equal parts white grape juice to water and pour into molds filling them all the way to the top. 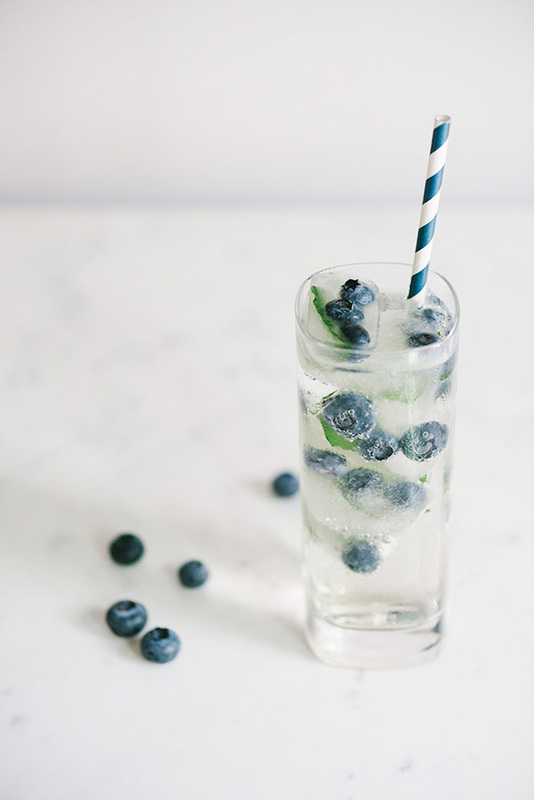 Place blueberry and mint leaves into ice cube molds. 2-3 blueberries and mint leaves per cube. Freeze at least 2 hours, preferably overnight. P.S. you may have noticed we’re a day late this week on our daily posts due to technical issues. So tomorrow you’ll be treated to two posts, one being an interview with one of my favorite chefs Richard Blais and we’ll be giving away a signed copy of his book Try This At Home thanks to the kind folks at The Mushroom Council. This post was sponsored by Smirnoff Vodka but the recipe and love for a good cocktail is all my own. We adore Smirnoff and it’s brands like this that make Waiting On Martha possible. 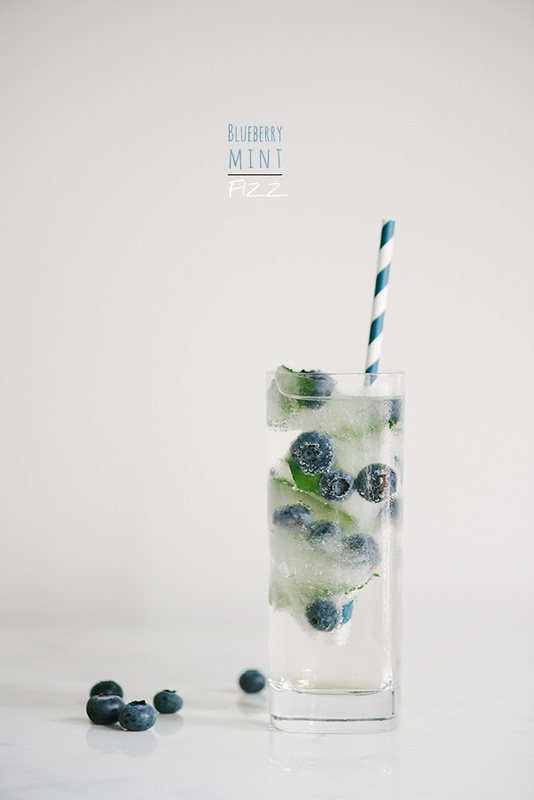 Blueberry+Mint=Amazing. I definitely need to give these a try. Thank you for sharing! Trust me this is soooooo good! Enjoy! Ohh I love the idea of making fruit filled ice cubes! And then blueberries and mint..some of my favorite ingredients. I think I need to try this ASAP. This looks amazing. What might you suggest for a non-alcoholic version? Hi there! I’m super interested in making this for a summer party! I have a 2.5 gallon container that I will be using to make the blueberry mint fizz. I didn’t see how many oz. your recipe could make. Could you give me a break down for 2.5 gallons? Thank you!